While more and more Australians move to online gambling, a lot wonder about the banking situation. Online banking is something that many find confusing at the best of times, so this is an understandable point of confusion. With most Australian online casinos actually being offshore, the payment methods available are significantly affected. First and foremost, security is an issue on most people’s minds. Different payment methods offer different standards, but thanks to online encryption, they are all as safe as possible. This is why we look for sites with strong encryption standards. The main problem is finding sites which can offer good payment options that aren’t too heavily affected by international charges, withdrawal fees and so on. Most sites accept a variety of methods, so fortunately Australian citizens get a bit of choice. The options available to Aussie players will usually be a mixture of Aussie banks and widely used online methods. Both have their benefits, but many will prefer to stay with Aussie focused options where possible and this makes good sense. The key to this is picking sites which are focused on Aussie players, which means that the banking options will be tailored to you by default anyway. Choosing sites that deal with Australian players regularly ensures that all their currency is listed in Australian Dollars, which takes out a huge portion of potential online banking problems. Currency conversion charges can run very high! Another key thing to look for is sites that have good customer support, which is available to Australians. Many sites offer live chat support, or phone numbers for international users. That way, you can get help with any banking issues without having to pay a fortune in phone calls. Making a deposit at an online casino is very straightforward. Your first deposit will usually involve going through a sign up system, which guides you as you enter all your information. The banking aspect of this is just like online shopping. When using a debit or credit card, the site will ask for one of your card numbers, plus the expiry date, your name and security CVV code. When using middlemen like Paypal, Skrill or NETeller, you instead just enter your associated email address. From there, your deposit system will stay the same unless you opt to change it. You will have an account area on your chosen casino site, where you can access personal information. Here you can make withdrawals or deposits, just look for the appropriate links. Deposits will ask you how much money you want to transfer (always double check your amounts, in case you enter too much) and ask you for confirmation. The amount is then deposited instantly and you can get playing. Contact site support if you make a mistake and be wary of repeatedly clicking (such as in the case of an unresponsive browser) in case you submit the form multiple times. Withdrawing an online casinos is much the same as depositing. You will first navigate to your user area, or account page. This is often linked at the very top or bottom of a site. Then you look for the withdraw option. Clicking this will take you to a form, where you enter the amount you’d like to withdraw. Some sites use a slider scale instead. Confirm your withdrawal after checking the amount. Some users like to leave a little to play with. By and large, your withdrawal method will match your deposit method. However, when needed, many sites allow players to deposit with one method, such as Paypal, then withdraw the cash to another, such as a credit card. When you do need more options, some sites luckily offer postal cheques, though this will often take a while to be delivered. Withdrawals are often done quickly, but you do have the option to cancel if neccesary. Cash out times or withdrawal times can vary significantly. Usually, a withdrawal is completed, from casino to your bank, within 5 working days. The amount of time varies from one bank to the next. Geographical location affects this, which is why it helps to choose sites which support Aussie gamers. You should find faster times for online methods like Skrill. The first 24 hours of waiting is usually the casino’s own cash out time. This is the amount of time needed for the online casino to process your request for payment and do all the paperwork involved. Some casinos do this task immediately, some take 24 hours, while others take 48 hours. You can often find out on your site’s ‘about us’ page. Whatever their speed, also look for their security credentials, which most sites display proudly. You can cancel during this processing period, but afterwards the money is your bank’s hands, or in the case of online methods it’s waiting for you to request a withdrawal from Skrill, etc. Visa is a widely accepted method thanks to its broad adoption throughout the world. Visa is a household name and as such gives players a sense of security and trust. This is well earned as they pursue claims of fraud very closely. Visa is a great choice for online banking as they process funds quickly. Visa is mostly an option for those who already have a card and do not wish to set up more banking systems. Being familiar with a company’s cards, details and procedures goes a long way to smoothing the process out. Check before using Visa that the casino accepts it and offers withdrawals and well as deposits, as some only offer one and this leads to waiting for cheques. MasterCard holds a very similar position to Visa. Those who already have a MasterCard will naturally want to use it for online banking. The same kind of benefits and problems apply. First and foremost, look for casinos that let you deposit and withdraw with the same card. The MasterCard brand is globally recognised and increasing amounts of online casinos will accept it. When using a credit card like this, check your limits. A casino site is like any ecommerce site in that they will take funds even when you get close to limits. It can be very easy to overspend in this fashion, so be wary of chasing losses as you’ll have that credit card statement coming at the end of the month. Some sites accept debit cards too, so this is a wise option if you have one or can apply for one. POLi is an Australian brand and not that well known in other parts of the world. 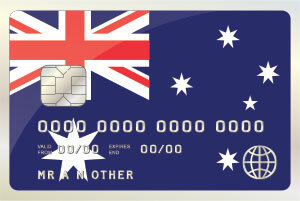 This standard was produced by Centricom and has spread throughout Australia as valid alternative to using a card. The great strength of using POLi is that it’s an Aussie based method and is completely free for Australians, plus all support and service is geared towards Australians, making it often the number one choice. POLi allows players online to use the POLi service as a go-between, saving them from entering card details. This naturally provides an extra layer of security online. Your only limit with POLi us making sure that you have the funds in your bank account. Most casinos also let you withdraw to POLi, so long as you have a full POLi account. There will be charges for this, so it’s wise to compare POLi’s charges with any you incur with your normal credit card. NETELLER is another very popular method for online gambling payments. This service again acts as a middle man, letting you transfer money and receive money without entering your own details into a site. You simply make a free NETELLER account and use those details instead. NETELLER is very broadly accepted and almost all Aussie online casinos will accept it, with some even offering special bonuses for this method. You can even attach other internet methods to a NETELLER account, such as Skrill or POLi, which makes it incredibly useful if you do a lot of banking online in differing formats. They feature some top of the line security and have a top reputation for fairness and customer service. This method does sometimes incur fees when withdrawing, which vary but are usually comparable to any similar method. Skrill is a service much like NETELLER. Formerly known as MoneyBookers, Skrill should be a recognisable name for most online Australians as its used by the majority of online casinos. Skrill is managed as an online account, where you deposit funds from another source and use your Skrill details as if it were your card. Skrill can be used both for deposits and withdrawals. There is a free for withdrawing your funds from Skrill, but in most countries this is a fixed amount, which makes it an attractive option for moving large sums of money. Big winners love Skrill! This method is very straightforward to use and still has great security. Skrill is a good choice for making life easy with online banking, as you can get into your games nice and quickly and not have to worry about fees or giving out credit card numbers. The PaySafeCard is becoming ever more popular as a method for online casino play. This service originated in Austria but has become broadly recognised, especially by groups of Europeans who needed an alternative method for online casino banking. Thanks to that huge boost, this is now often favoured by Aussies online, as of course they know what to expect and have trust in the brand. PaySafeCard is a little different to other methods, working like a pre-paid credit card. You transfer a certain amount to your PaySafeCard at a time and cannot go over that amount, making it a great choice for those concerned about responsible gaming. You have complete anonymity with this method and use it simply by entering the card’s PIN on your casino site at the deposit stage. The only downside is that a PaySafeCard cannot be used for withdrawals, so another method such as cheque is usually used.